WorkJam is built by a team with strong foundations in innovation and applications. Together, we aim to have a lasting, positive impact on people's lives through the products we create. Montreal-based WorkJam has announced the acquisition of employee communications software provider Peerio Technologies. Terms of the deal were not disclosed. Why Nudge.ai? Reach out to the decision makers at WorkJam with a personalized email - let them know that you found their recent news mention interesting. Nudge.ai’s relationship intelligence platform can help you find the right executive to reach out to at WorkJam, such as Irwin Kramer, EVP Americas - hybris Group, or Steven Kramer, President and Chief Executive Officer. Then get in touch and start a conversation. Executives can be difficult to reach, but every company has connectors who bring together people and ideas. At WorkJam, people like Steven Kramer, and Will Eadie are likely connectors. 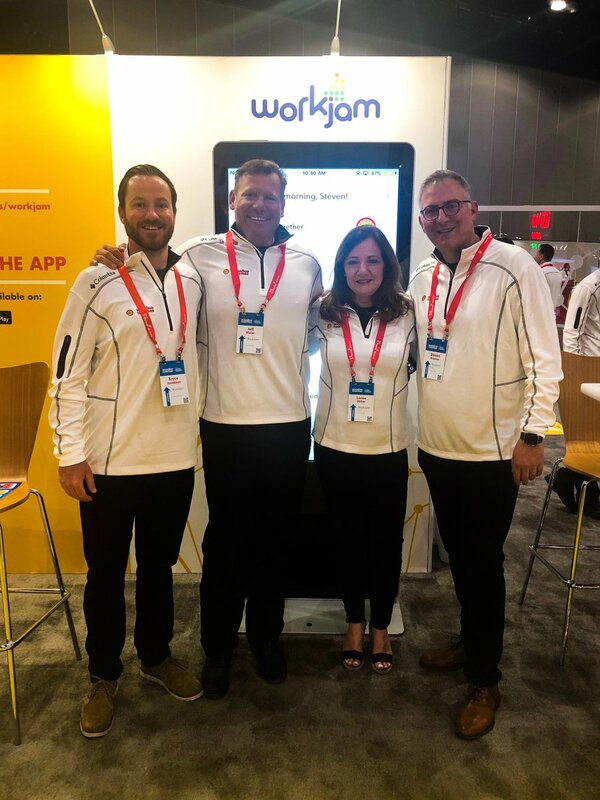 This week, we're supporting @Shell by showcasing WorkJam at their 2019 Shell National Wholesale Conference. We're proud to support such a great global customer and everyone under the Shell brand. What an amazing @RL_Conference with @KronosInc . We’re excited to continue our multi-year partnership and longstanding relationships by joining forces to focus on the Food Service vertical. 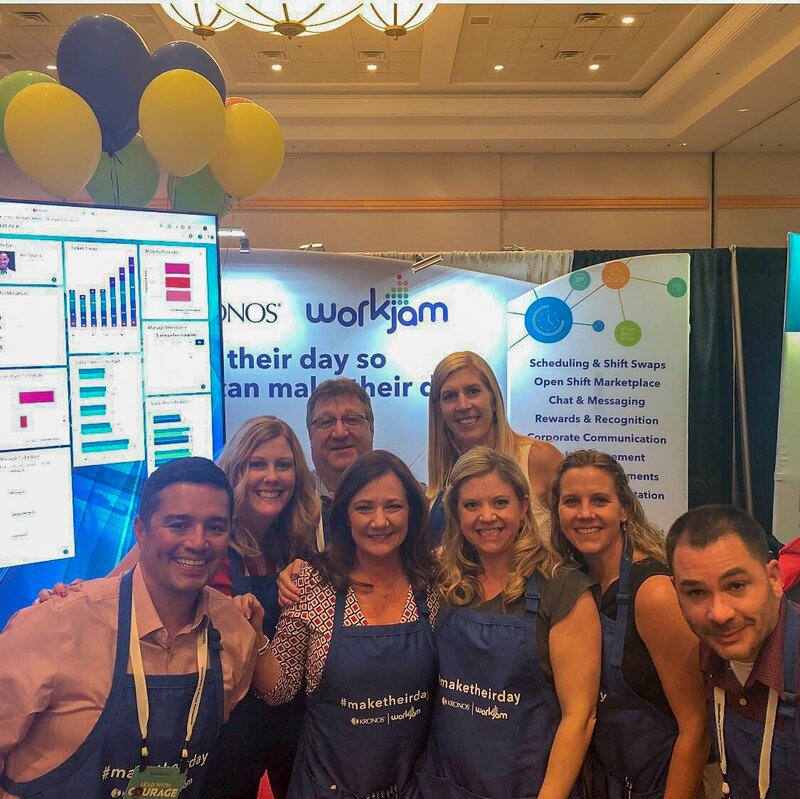 #RLC Together, @WorkJam and Kronos always #maketheirday ! When WorkJam is mentioned in the news, Nudge.ai often sees topics like Retail, and Customer. If your conversation focuses on these topics, you’ll probably get WorkJam’s attention. When WorkJam is mentioned in the news, companies such as Monetate, Venmo, and Paypal are often also mentioned. These companies can serve as customer examples. Employees who are often in the news are usually open to starting conversations or exploring ideas. Nudge.ai's sales AI saw Steven Kramer, Will Eadie, and Mark Sadegursky from WorkJam recently mentioned in the news. Who in your network can introduce you to WorkJam? Nudge.ai finds the best pathway to reach contacts at this company.